Guess who got an early birthday present from a very dear family member. 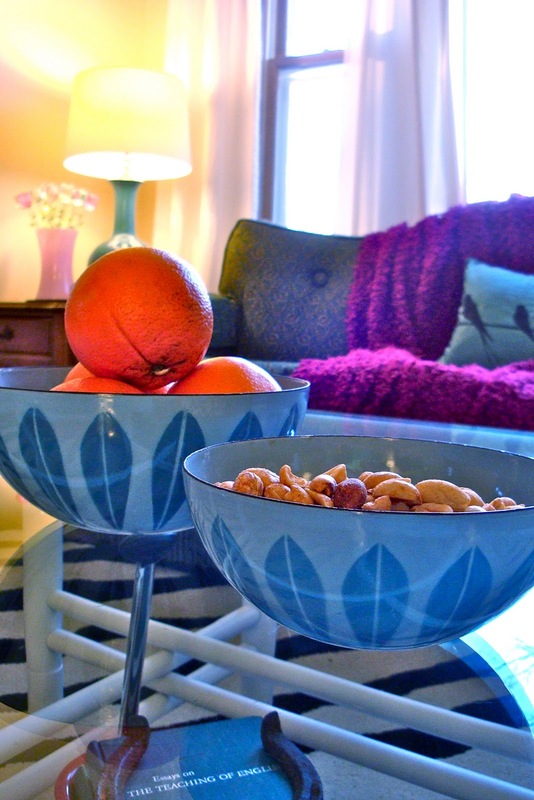 Robins egg blue, gleaming enamel, perfectly proportioned, Catherineholm bowls. For me! 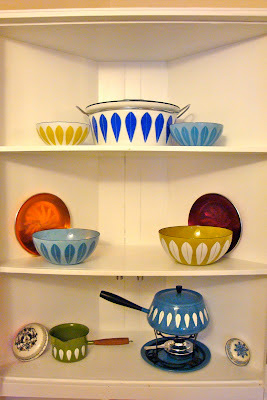 *Side note: I love how the bowls almost look suspended in mid-air on the above photo. All thanks to our glass topped coffee table. Ha. The things that keep me entertained. *And then there's this picture. Now the bowls are floating above us. The wonder! Ok, but I'm straying from my topic. Back to the story. Iris doesn't have a computer in her apartment--at 105 years she still lives alone in an apartment. Did I mention how amazing she is?--but I can never say it enough: Thank you SO MUCH Iris! I put the oranges and nuts in the bowls specifically for a decent-enough photograph to slip in her thank you note. She'll view it on her reading machine. One of the few areas she's gone downhill in during the last ten years is her vision--a difficult thing for a former librarian. Thank goodness for audio-books! While these bowls are a fantastic addition to any kitchen and perhaps I'll use them occasionally, for now they're empty of our snack food. They instead smile at me from the display cabinet, tucked away with their other enameled friends.